If you enjoy shaking your fist at the sky and mumbling softly to yourself about the good old days, you may want to plug your ears now. An increasing number of parents are naming their children after Pokémon, according to parenting website Baby Center. 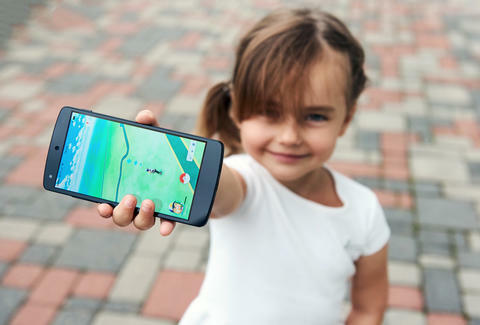 The U.S.-based resource for parents and parents-to-be points out that the number of Pokémon names given to children this year is substantially higher than it was at this time last year. Pokémon Go's cultural moment is undoubtedly the reason for this trend, the site says. Thankfully, it's not a rise of people naming their kids Charizard or Bulbasaur, but some names that won't come with regrets in 20 years. Every kid named Hammer Pants can tell you, getting named after a passing fad doesn't work well in the long run. Most of the names aren't entirely uncommon but are on the ascent in conjunction with Pokémania taking hold of the nation's youth humans. Here are the Pokémon names on the rise this year. Now, someone needs to collect data about the naming of pets in 2016. You know that somewhere there's a cat named MewTwo, a pigeon named Pidgeot, and, for some reason, a dog named Butterfree.